Can A Will Distribute Property Already In A Living Trust? Most people who have at one point or another sought advice on estate planning have heard of wills and trusts, and been advised that is wise to have one or both in order to have a solid plan in place. While having both a will and a trust can be wise, taking care to ensure that language in both documents works to harmonize the documents and not make them work against each other is very important. 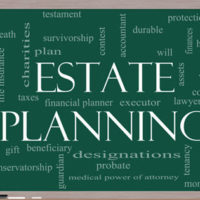 Not all estate planning trusts are the same under Florida law. Some trusts are created specifically to come into existence and are funded after the person creating the trust (the grantor) has died; these are known as testamentary trusts. Trusts that are created during the grantor’s lifetime with ownership over property transferred to the trust are known as living trusts, and can be revocable or irrevocable. There are other subsets of trusts, but these are the general kinds of trusts. As the name suggests, irrevocable living trusts cannot be changed once the grantor signs the documents establishing the trusts and transfers the property into the trust. Revocable living trusts can be changed or ended during the grantor’s lifetime as the grantor wishes. Problems can arise if a grantor creates a living trust and transfers property into the trust, then later writes a will leaving the same property to beneficiaries who were not named as beneficiaries in the trust. This leads to a very important question – does a will supersede a living trust that is created before the will? Generally, when a grantor transfers property to a trust after a living trust is created, the grantor does not continue to personally hold legal title to the property. Therefore, when a person who previously set up a trust makes a will distributing his own property, the trust property should not be included because it is not owned by that person. Even when the will specifically distributes the trust property to other heirs, the living trust controls how the property will be divided. There may be an exception to this depending on how the trust was established and what the terms were regarding the title to the trust property. With revocable living trusts, it is possible for a will to supersede the trust if there is evidence that the grantor did something to revoke and terminate the trust before the will was signed. If the trust was terminated and the title to the property transferred back to the grantor, then the will would validly transfer the property to another person. When it comes to estate planning, the precise language used in the documents you need can make a world of difference. Sometimes a poorly worded document can derail your well thought out estate plan, and send your heirs to court for years. For a consultation on which plan may work best for your situation, or to check that your current estate planning documents accurately convey your desired estate plan, call an experienced estate planning attorney from the Millhorn Elder Law Planning Group located in The Villages, Florida.